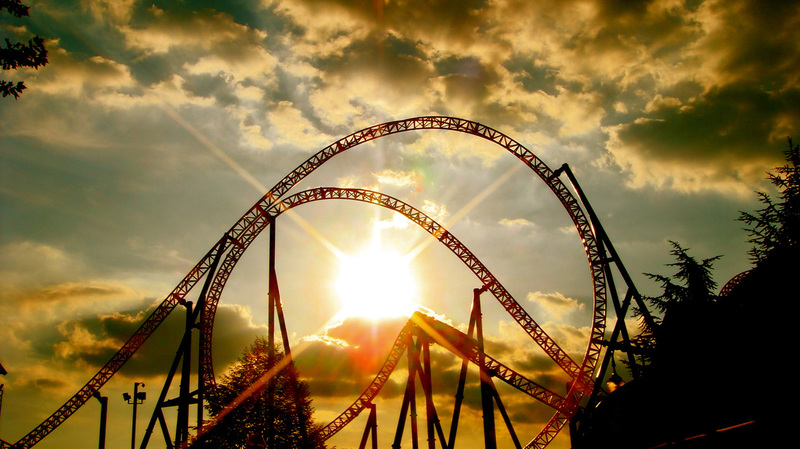 Have you ever wondered what a roller coaster and a bar of chocolate have in common? Well to be honest, the answer is nothing at all unless you are in Hershey, Pennsylvania. Hersheypark has been a staple in family entertainment since 1906 and there is such a rich history for this park. (No Pun Intended) The Park is owned by the Hershey Entertainment and Resorts Company and is a true family resort. Make sure you come with your sweet tooth and be ready for an exciting day (or week) inside the park. Hershey Park, as it once was called, was built in 1905 by Milton Hershey as a leisure park for his employees at the Hershey Chocolate Company. In 1906, the park was dedicated and named Hershey park. Over the first few years, the area was used as a picnic and visitation area. It wasn’t until 1923 that the first roller coaster and rides were added to the park. The park survived through the Great Depression and dwindled as the middle of the century arrived. In 1970, the park had gone to a dismal halt and the Hershey Company began to redevelop the area along with the park. They renamed the park Hersheypark and they began to add themed areas and add rides and attractions that would fit those themes. The park would play music at each themed area that fit the time period or theme itself. Between the years of 1991 and 2013, the park has added nine roller coasters and turned the park into a real thrill park. The park is more than just the rides and attractions. There is a great lineup of entertainment including shows and exhibits that will appeal to everyone. There is also a great selection of fine dining and restaurants to keep your belly full. It would not be a trip to Hersheypark unless you stopped in the many different shops themed around candy made by the company. The instant you walk in the park, the smell of chocolate fills the air and you are left with a sweet tooth dilemma. Today the park supports 9 roller coasters including the famous Skyrush. Great bear and Super Dooper Looper are others that you may want to try out as well. If you are looking to get wet, you will want to head to the Boardwalk section and try out the water slides and water rides. As you can see there is a little bit of everything inside the sweetest theme park on earth.